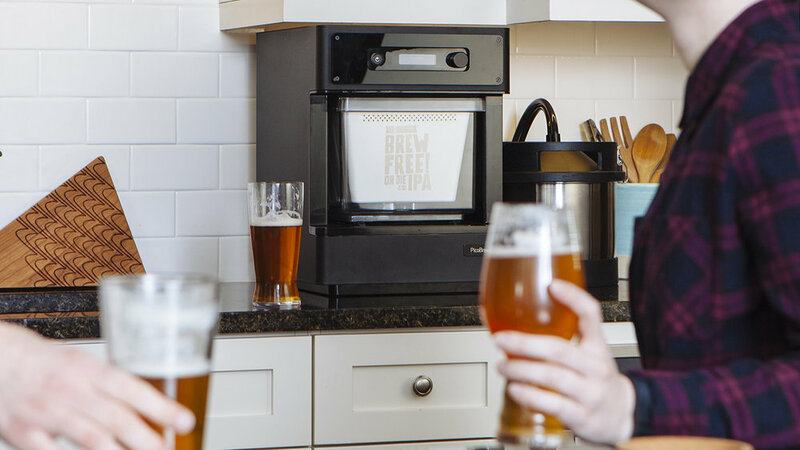 PicoBrew, the maker of the world’s first line of automated craft beer brewing appliances, was in the midst of launching a Kickstarter for their latest appliance, the Pico C, with the promise of an app to accompany the machine. 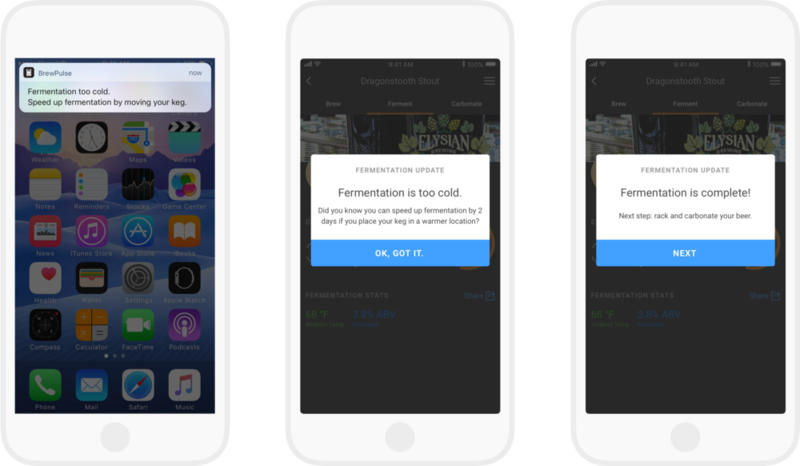 I was tasked with creating an app that would aid brewers in their process and allow them to monitor the various stages of brewing from the app. 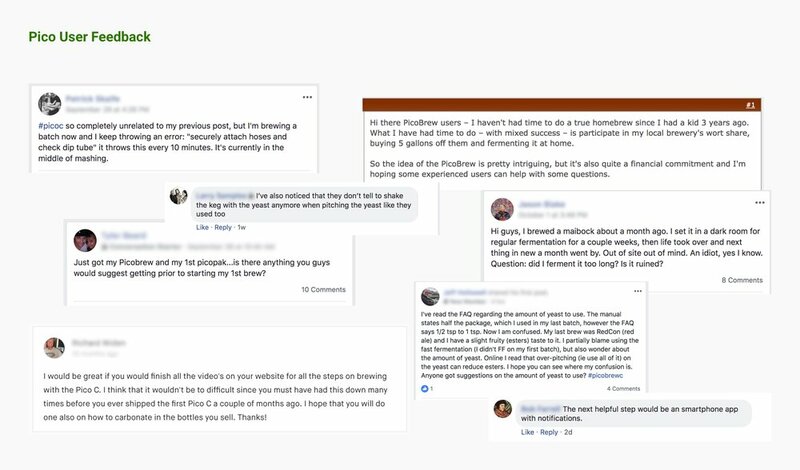 Using data from current Pico users from PicoBrew’s customer service team, Facebook groups, Instagram, homebrewing forums, and Kickstarter comments, I identified Pico users’ common pain points and summarized my findings with personas. I highlighted user needs, product objectives, proposed app features, and success criteria in a “Project Brief” format. To establish the basic hierarchy and structure for the app, I worked with the Director of UX to perform an internal card sorting exercise. 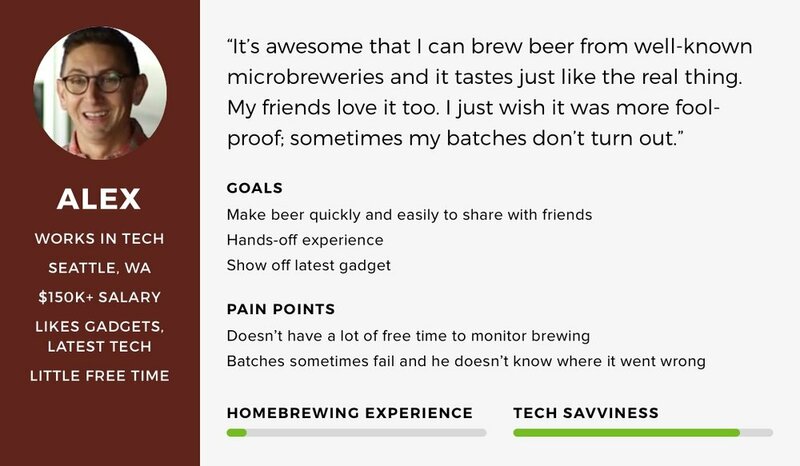 We strove to find a balance between user needs and business goals and identified the key features users needed to aid them in their brewing process, while keeping the functionality of the existing website (shopping experience, blog, etc.). We checked in frequently with the CTO and development team to make sure our expectations were in alignment. The app UX was my main focus, but I began to explore visual design concepts in order to have more realistic prototypes for presentation purposes. 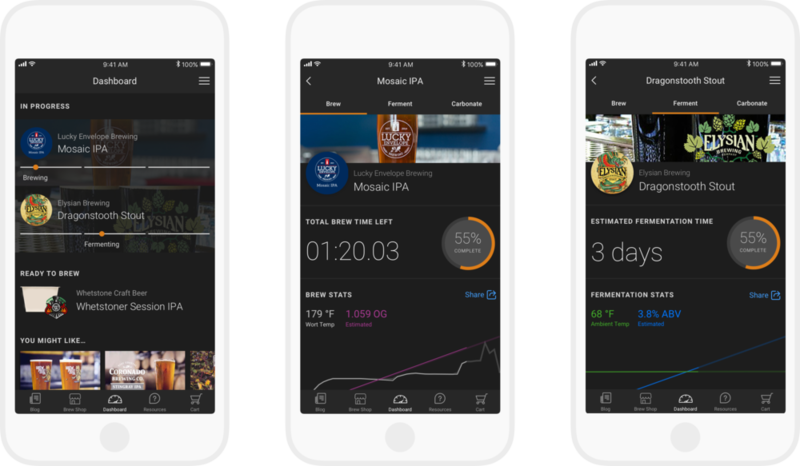 I aligned the app’s aesthetic with the existing PicoBrew brand guidelines, paving the way forward for the visual design team to further refine the design. I used Zeplin to share designs with our in-house development team throughout the process. I created prototypes in InVision for user testing, and to be used by key stakeholders throughout the company for various purposes.